The RBS 6 Nations sees Europe’s greatest rugby rivalries battle it out to be proclaimed the best team in the northern hemisphere. Be there to experience what promises to be one of the closest fought 6 Nations to date. The Hong Kong Sevens is a truly unique rugby tournament. 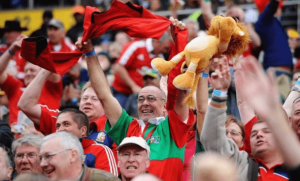 It attracts the best sevens teams in the round, the fans are knowledgeable and laid back and the welcoming, carnival-like atmosphere is unlike anything you have experienced before. Join for the Amlin and Heineken Challenge Cup Finals, certain to attract rugby fans from all around the globe. Taking place in Dublin, one of the rugby world’s most iconic cities, this is set to be a fantastic weekend full of first-class rugby and camaraderie as some of the best teams compete for the right to be crowned Champions of Europe. Lions tours of Australia are the stuff of rugby legend and this is your chance to experience history in the making. The Lions will be playing three tests against the Aussies with what looks to be one of the strongest touring parties in a generation. We have a range of tours that will ensure your trip to Australia will be one to remember. Enjoy all the action at the IRB Rugby Sevens World Cup at the Luzhniki Stadium in Moscow. Wales will be out to defend their title as 24 teams from around the world take to the field for what may well be the last Sevens World Cup ever contested. Get official match tickets and stay in one of the Russian capital’s most luxurious hotels. The World Rugby Classic in Bermuda, the place where roots go deep, attracts both players and spectators alike. The week-long tournament sees eight teams made up of former international rugby legends compete in the paradise that is Bermuda. The social atmosphere off pitch is almost as famous as the rugby itself with plenty of time to mingle with previous players and take part in the camaraderie over a few relaxed drinks. 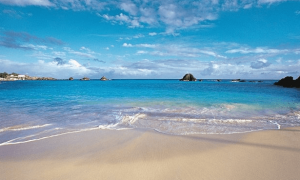 Combine this with the beautiful Bermudan sun and its magnificent white sand beaches and you have a paradise island. The 6 Nations is now over with an incredible win from Wales securing them the title of the 6 Nations. It is never too early however to start thinking about next year and whether England can come back fighting for the European Champions title. 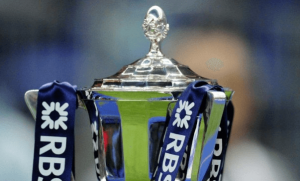 Register your interest now to be the first in line to receive all the latest news and information about the next 6 Nations and you could be there witnessing all the action first-hand. Known to be one of the most anticipated rugby tournaments incorporating some of the best Sevens teams, a carnival atmosphere and all in one of Asia’s most cosmopolitan cities. 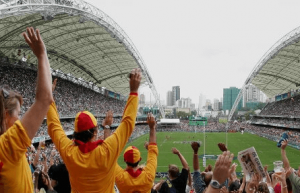 An essential tour for all rugby fans, the Cathay Pacific / HSBC Hong Kong Sevens gives you the opportunity to soak up the electric atmosphere and experience all of the supreme action first-hand. In the Rugby World Cup will be returning to its spiritual home and the entire nation will be hoping that England make it through to the final at Twickenham. Official match tickets and VIP hospitality for every match of the tournament. The Rugby Sevens were voted in as a new Olympic sport with players from England, Wales, Scotland and Northern Ireland all expecting to join together to play for GB. With You can expect to see all the best rugby action in Brazil’s second largest city.